In today’s podcast, we’re going to concentrate on how to get help. As a business owner, this can quite often be a little overwhelming. It’s not as hard as you think to find help and you don’t have to pay a lot. In a lot of instances you can even get it for free. What I recommend is that you stick to the things you know, and hire out the things you feel are a little overwhelming. If you love to write, but hate social media, hire someone to do that portion for you and that frees up your time to do what you love — to write. One of my favorite places to find workers is college or high school students. They are quite clever, and hopefully they can write or do social media. There are students who actually study Journalism, Media, English, and those students make great employees. They enjoy writing. Generally if they enjoy writing they’re very likely to enjoy blogging and writing articles. Because they are students, you can pretty much bank on the fact that they know the ins and outs of social media. They are perfect for the job because they are in school and need to possibly earn an income or extra money to help pay their way through college. They would definitely trade in the jobs that they hate like waitressing, waiting tables, and bagging groceries at the supermarket. Those kinds of students would rather be writing or tweeting. Another thing you can think about is hiring a college student that is working in the video or photography field can help you gain access to better equipment. Offer to be a project for one of them and let them film or photograph you. In the end, you get a professional looking podcast or video, and they get a great great on their project. You can have photography students photograph your products for your E commerce catalogs, or take pictures of your restaurant or food if you are in the food industry business. You can actually outsource a lot of these things to students. You can apply it to colleges or universities and develop a program where you can provide work for the students, if they will provide you with the workers. It’s affordable and even though they are students, these are very talented people well worth working with. One of the best places to find workers is stay at home moms. They are a hidden gem that not many people utilize, but they are always looking for ways to make an income to help their families out. These moms love their families and will do anything to help them out. They are experts in their field and want to be able to be there for the family and still make money, so why not offer them a job where they can work from home? These rock star moms can handle things like writing, social media, secretarial services, and more and all of these can be done remotely. There are many places you can look online to find these wonderful stay at home moms. MumsNet.com is in the UK. I once read an article that stated in the USA, there are around 3.9 Million mom blogs. A lot of those moms would love the opportunity to flex their muscles again and get back into the workplace. Don’t do this all alone. Remember I talked to you before about outsourcing. You don’t have to outsource to India or to the Philippines or anywhere other than in the area where you are. Some of this is just around the corner. You can even put an ad in your local newspaper. All you have to do is ask. Explain the job well, test them and see how they will work for you. If it doesn’t work — no pain, no gain. It won’t harm anything. Just try it! Imagine how you can leverage yourself and multiply what you do. 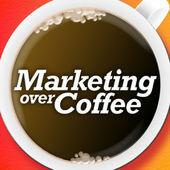 Today’s drive time podcast that I want to share with you today is Marketing over coffee. The name sums it up. The guys behind this podcast, John Wall and Christopher Penn, have been in the business for a long time. In fact, this podcast has been going on for a quite a while and its very famous. Their chats last about half an hour or so are based on current modern marketing techniques, like what’s going on, what works, what they do, etc. Don’t forget these guys really are in the trenches. I recommend you download marketing over coffee on to your iPhone or your Android. Or, you can go to their website at marketingovercoffee.com and listen to it there. It’s excellent! You’ll learn something every single week. I guarantee it. 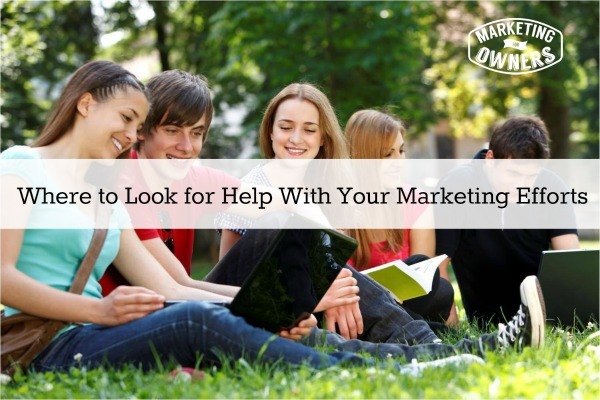 Where will you look for help next?